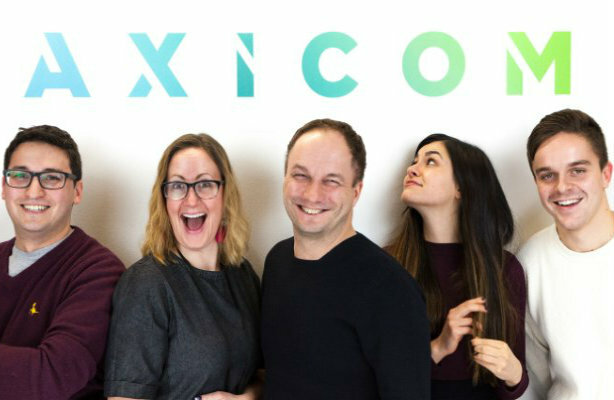 AxiCom, the tech agency that is part of Cohn & Wolfe, has unveiled a new corporate identity. The previous red and black colour scheme has been replaced by blues and greens, with a fresh logo and new look to the website. "It’s very much time for a change," UK CEO Henry Brake told PRWeek. "The industry that we operate in, there’s a huge amount going on; an incredible technology evolution and development that’s moving very quickly, impacting how we live our lives, educate our children, manage our healthcare, move ourselves around from a transport perspective. We felt the need to freshen up how we were thinking about ourselves, as part of that." Brake said the new branding was "not linked in any way" to the departure of AxiCom CEO Cathy Pittham. She left late last year after 18 months in the role and, according to Linkedin, is now a director at TCBM Consulting. Brake said there were "no immediate plans" to replace her, pointing to the "incredibly stable" senior team. He and UK MD Richard White have both worked at Axicom for around 19 years, while Kate Stevens, another MD, has been at the firm for 11 years. Regarding plans for the future, Brake said AxiCom would be "interested in exploring" opportunities in biotech and home automation technology. The agency, which was bought by Cohn & Wolfe parent company WPP 10 years ago, employs 60 people in London and an additional 40 across offices in Munich, Paris, Madrid, Milan, Amsterdam and Stockholm. Asked about future openings, Brake said: "We’re probably not looking at, immediately, any more offices in Europe. We’re always looking at how to address the US tech market more strongly, and that’s where we’ll be looking at this year as well. Obviously we have a big network of agencies both within Cohn & Wolfe group and within WPP more broadly." According to a report on PR agencies released in November from accountancy firm Kingston Smith, AxiCom continued to achieve the highest operating profit-fee income margins in 2017 of those consultancies surveyed, at 40 per cent. Its annual revenue is believed to be around £6m. AxiCom clients have included Orange, Cisco and Kantar.